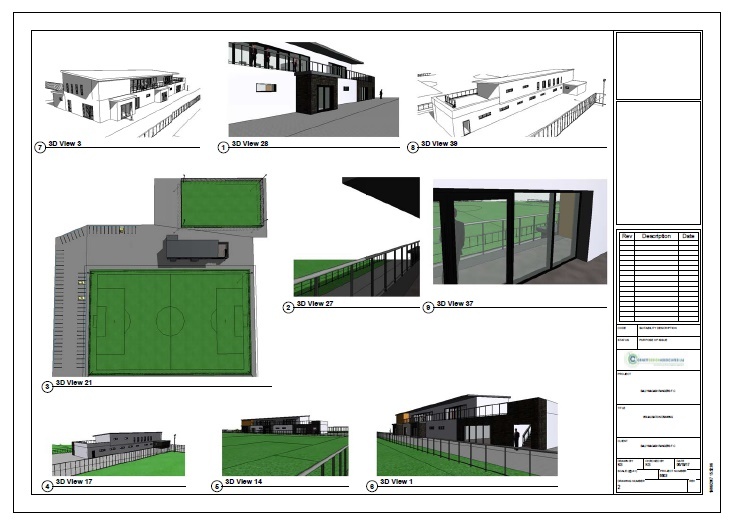 We’re inviting people to become owners of Ballymacash Sports Academy and help us take the first steps in the wholescale transformation of the Rushmore Park facility into the beating heart of the community, providing more space to play football, watch football, more community spaces and function rooms, new changing rooms, a community gym with exercise equipment, floodlights and a 250-seat stand. That’s an ambitious project, and we’re breaking it down in more manageable chunks, and so this first phase is all about enabling us to increase the number of teams we can support, and so increase the number of people (men and woman, boys and girls) who can benefit from playing sport, being active and learning new skills. 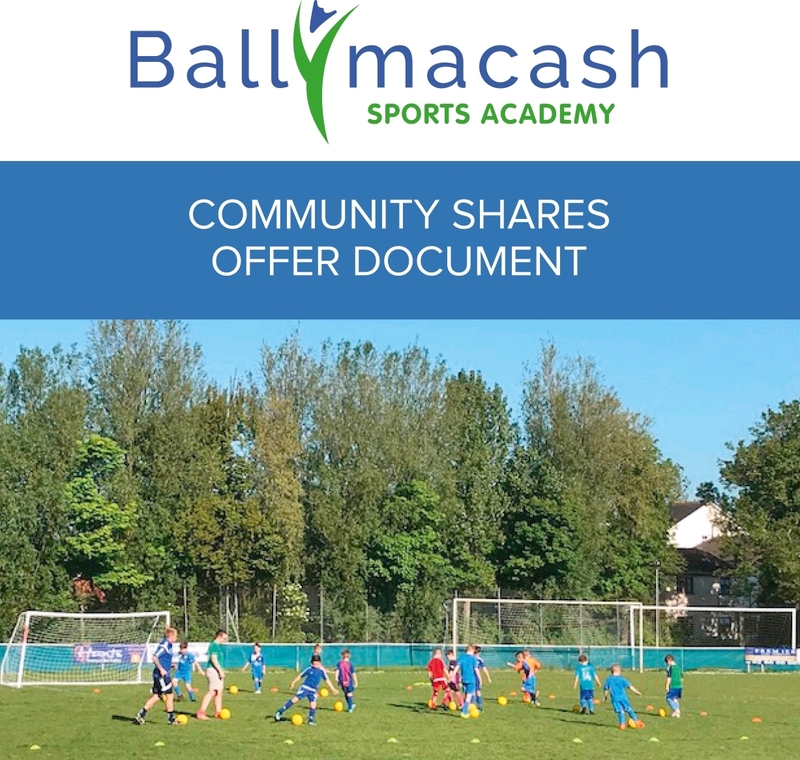 The board of directors of Ballymacash Sports Academy may choose to extend the period of the share offer by up to 2 weeks if they believe that by doing so they increase the chances of reaching the maximum target. 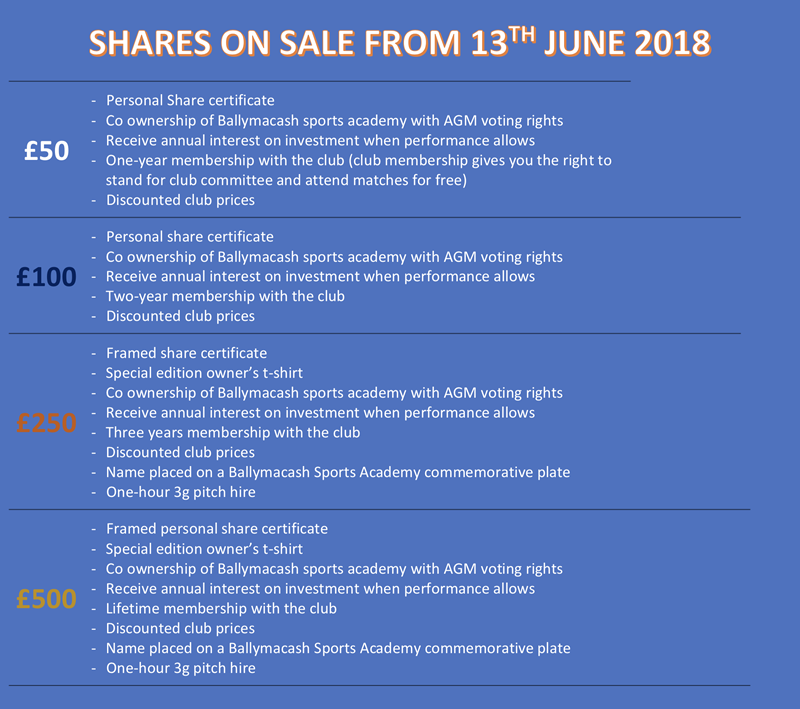 Investors will be able to invest and buy shares in Ballymacash Sports Academy from 13 June 2018.